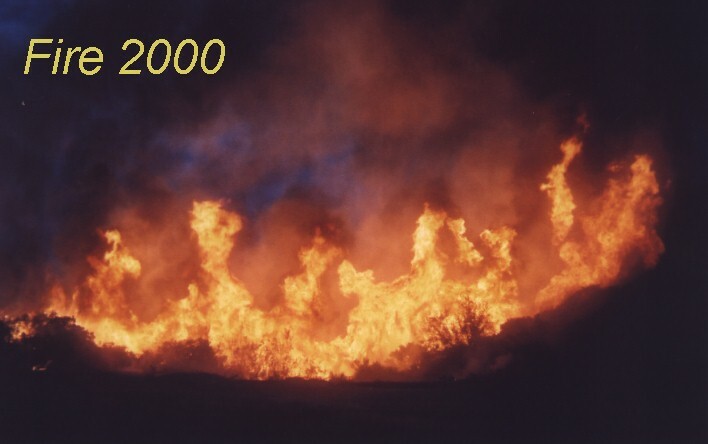 Summer of 2000 saw some of the most destructive fires in U.S. history in the western states. 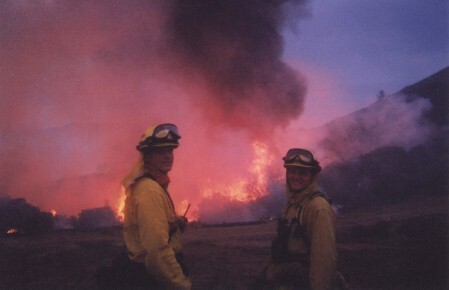 United States Forest Service (USFS) and California Department of Forestry (CDF) firefighters traveled throughout the west, fighting blazes that sometimes reached 200,000 acres. CDF firefighter Jennifer Neely saw action on the Concow Fire in Butte County, and the Hunter Fire in the rugged Merced River canyon in Mariposa County. 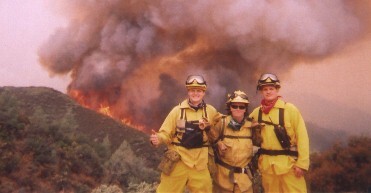 Husband Rod, with the USFS Sierra Hotshots, put in 21-day work periods in Idaho and Montana, as well as shorter assignments on fires in California and Nevada. In Idaho he joined crews from throughout the country including military units on the Clear Creek fire, which grew to over 200,000 acres. It was contained only when rain and snow began to fall in September. 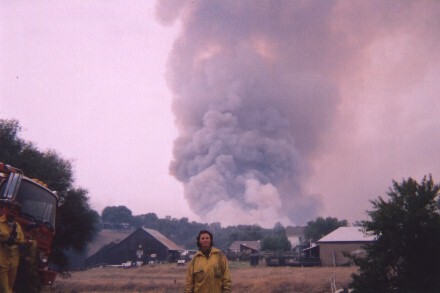 Crews were called from New Zealand and Canada as well as the United States to fight the many blazes in Montana. 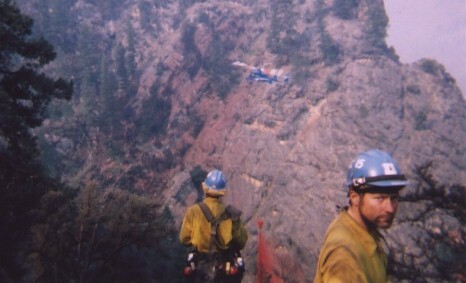 Rod saw action on the Nine Mile Complex and the Alder Creek fires. 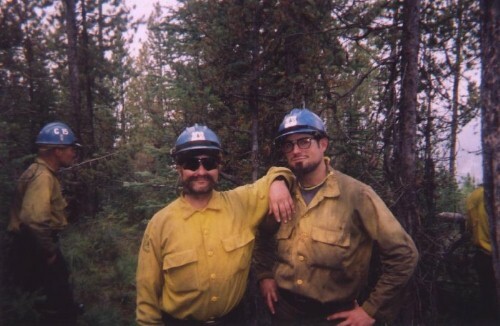 In mid-October, Rod and the Sierra Hotshots returned to Montana on a rehabilitation project, building water bars and working on other erosion control efforts. 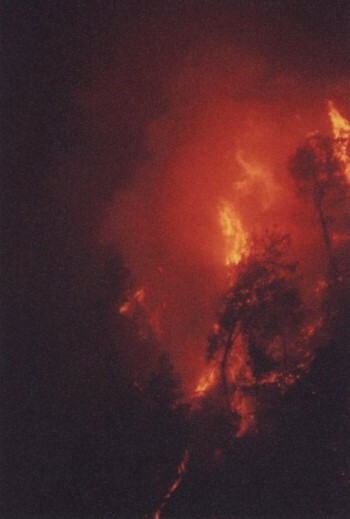 Above: Flames dominate the landscape at the Hunter Fire.